As much as we plan for vacation, nobody ever plans to get sick on vacation. While hopefully it doesn’t happen….here’s what to do when it does. Be organized! If you’re traveling far from home, make sure you bring your insurance card and all your current medications with you. If you don’t want to bring the entire bottle, make sure you have enough for the duration of your trip and label the bag appropriately. If you get sick and have to see someone, they’ll need to know all your medical information anyway. Pack a first aid kit. Do you get headaches often? Make sure to bring a small kit of your preferred headache medicine, as well as all the remedies for illnesses like a cold or small injuries like cuts or bruises. If you’re traveling with kids, the first-aid kit is an even higher priority. Unfortunately, some children react to new places by immediately becoming sick. However, one of the best options for when you’re away from home and suddenly ill/injured is, you guessed it, an urgent care clinic! There’s no appointment needed, nor do you need to have had a prior history with the clinic (like you might at a doctor’s office.) All you need is your insurance card, and the clinic can put you on the fast track to enjoying your vacation again. 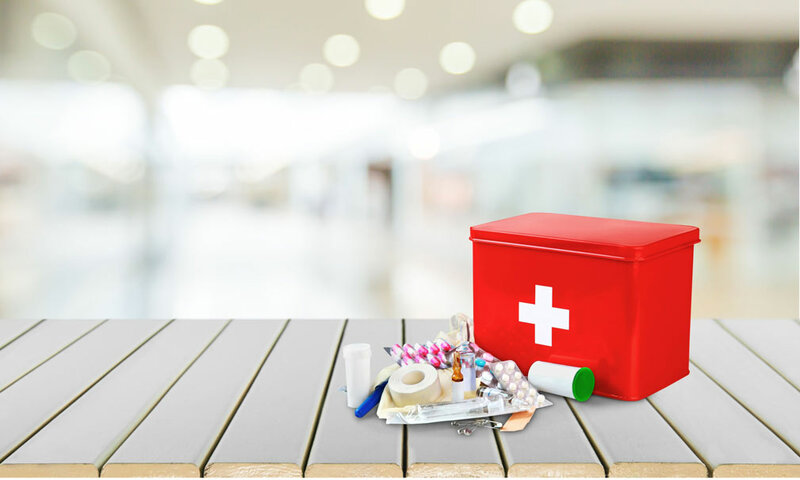 Nobody ever wants to have their vacation disrupted by illness or injury, but when these things happen, it’s important to be organized, to have a first aid kit, and to reach out to the nearest urgent care clinic you can find.